These are numerous ways that Pronounceology will treat the data (or search terms) that we process. You can also set up how these will show up in new search reports from your Settings page. The heart of Pronounceology, these are the databases that are searched when you create a search report. 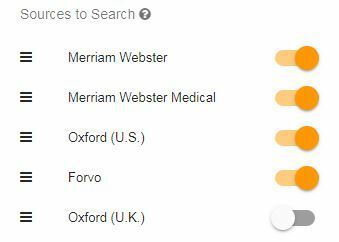 The important detail here is that they are a hierarchical list of sources, that is, Pronounceology will search each one sequentially, and if it doesn’t find your search term it will go to the next database in the list. Similar to the Search Options, you can set your preferred order of use (or turn on and off) from your Settings page. For spreadsheets, Pronounceology looks for a header row, a first column with page numbers, then a second column with your search terms. It may help to either use or model your spreadsheet on our example here. If you have highlighted search terms in a PDF manuscript or document, you can also upload that. Pronounceology will look for just the highlighted terms and extract those. It even sorts by color, so if you use other colors for other purposes it will allow you to choose. The more terms you have to search, of course, the longer this will take. Once your search report is complete, you’ll see a page such as the one below (you may see a “spinning” icon on some of the search terms, this is because we show results as they happen, so some search terms may be processing in the background). As you can see, Pronounceology automatically names the Search Report the same as the file name of your imported PDF or Excel spreadsheet. 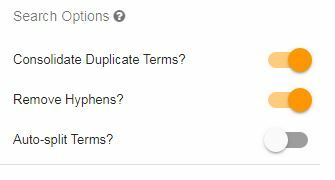 If you’ve used the Word List method, it will appear as “Untitled Search Report,” and you can change it to whatever you would like. 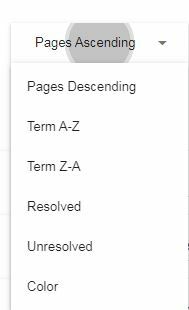 Sorting: as you can see in the image below, Pronounceology offers multiple ways to sort your search report. You can also search within your report, just start typing the first few characters of a search term. The text in the upper right corner lets you know how many search terms were searched, plus how many were “resolved.” Pronounceology counts a term as “resolved” if we were able to find a URL source for it. Below this is a row of icons offering ways to interact with your search report. The Add icon allows you to add a search terms or multiple search terms to your report. You can include page numbers or re-order your sources as well. 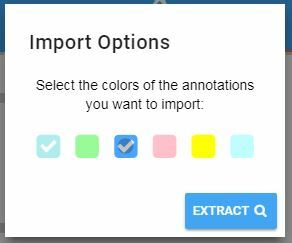 The Export icon allows you to export the data in one of two ways: to a spreadsheet, or just the phonetic spellings to a PDF. The Delete icon allows you to delete a search report. You’ll be asked for confirmation to perform this action. The Share icon allows you to share your search report with a co-worker or collaborator. Clicking this will bring up a switch to turn sharing on, then you can copy the link to email. The viewable report will allow someone to see your research and data, but not to initiate a new search. Each search term appears in it’s own row. First are page numbers and highlight color (if they exist), then the term, then the phonetic spelling if it was found. The audio and source URL are next. You can edit the term and phonetic spelling directly from the row and Pronounceology will auto-save your changes. You can also play the audio by clicking the audio icon, or record your own pronunciations. By clicking on the row itself, it will expand into the Search Term Detail. This gives you a bit more information and options. You can see the term’s definition, change the page numbers, check YouGlish, or click Search Other Sites to open up new tabs for other search sites. Note: the first time you click one or multiple sites to open from the Search Other Sites popup box, your browser will probably block them and ask you for permission for Pronounceology to open popups. Click “yes” and you’ll be good to go! Covered above, click the Share icon to create a shareable link. The viewable report will allow someone to see your research and data, but not to initiate a new search. Exports all the fields to a spreadsheet (pages, search terms, phonetics, source URLs, and Notes). Exports just the phonetic spellings back to your source PDF’s corresponding page numbers. You can modify font color, font size, and placement on the page. These settings can be set to a default on your Settings page.